It's been a while since my last newsletter, but things have been a bit quiet on the Macross front recently. 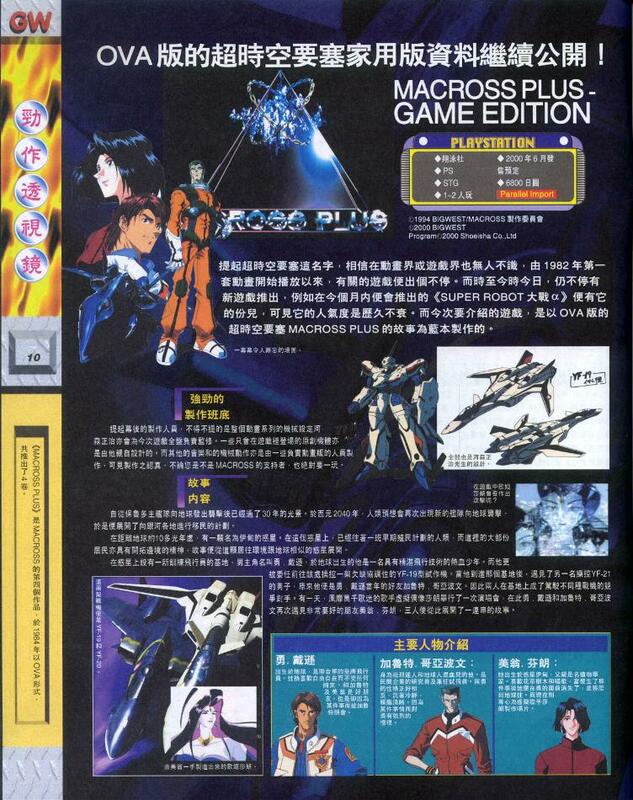 Anyway, attached are two articles on the Macross Plus Game Edition. The smaller of the two articles is from the latest issue of the bi-weekly Dengeki Playstation Magazine (vol. 143 dated May12-26, 2000). 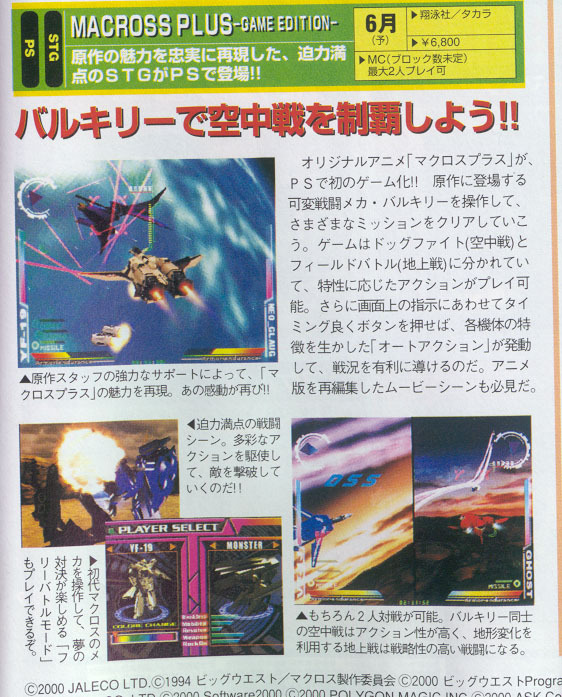 Firstly, note that in the top most picture of the Dengeki article the YF-19 is fighting something called a "Neo-Glaug". 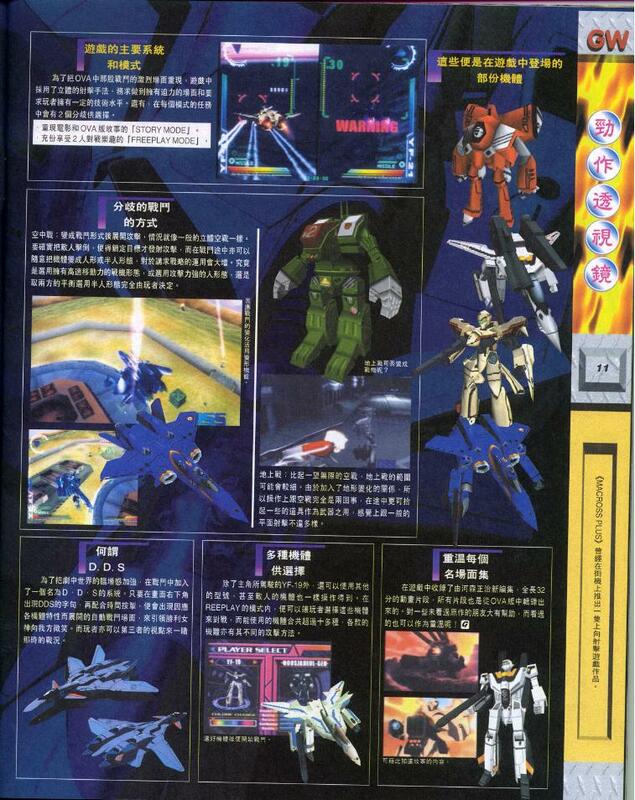 Secondly, in the lower left hand picture of the Dengeki article note that the blue VF-1 is actually listed as a VF-1J. this is surprising as all previous articles and even the Shoeisha website have previously only shown a VF-1S. Perhaps when you use the color change feature in the game to change the VF-1S to either red or blue, it automatically changes to a "J" type?